Grizzly Creek Ranch is surrounded by magnificent vistas, valleys and meadows on 1,500 acres of pristine Yellow Pine forest. From our high ropes challenge course to the forest and river ecosystems, Sierra Nevada Journeys' campus at Grizzly Creek Ranch is breathtaking. Grizzly Creek Ranch is fully ADA accessible and located in Portola, CA, just 45 minutes from Reno, NV and two hours from Sacramento, CA. The campus offers modern facilities that are clean and comfortable. The 200+ bed campus has heated cabins with their own restrooms. Shower facilities and washer and dryers are easily accessible. 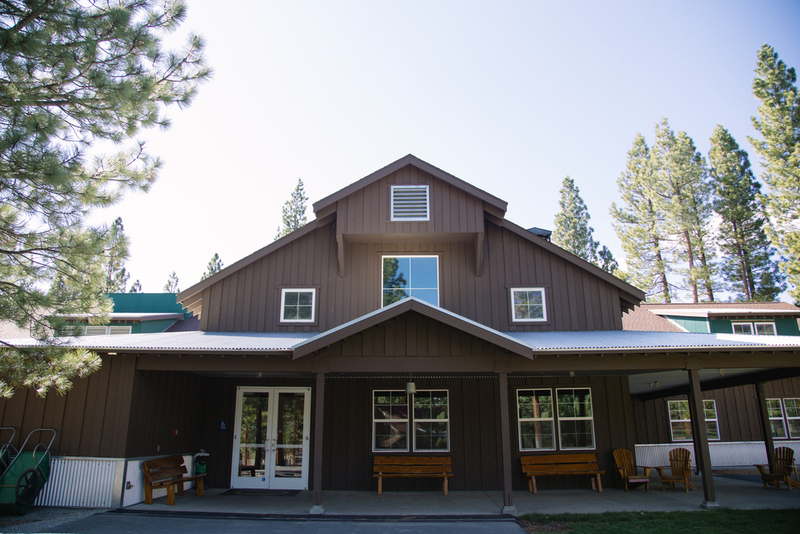 We offer a spacious dining hall, patio area with a fire pit, amphitheaters, various activity centers for programming, multiple campfire sites and a spacious lawn for play and learning. A health center is centrally located on campus and all staff are CPR/First Aid certified and have passed federal and state background checks. We conduct our outdoor school program Overnight Outdoor Learning, run an overnight, week-long summer camp, host community groups, and offer facility rentals. Grizzly Creek Ranch is a project of Sierra Health Foundation, a private philanthropy investing in and serving as a catalyst for ideas, partnerships and programs that improve health and quality of life in northern California through convening, educating and strategic grantmaking. Founded in 2003, Grizzly Creek Ranch provides educational and leadership opportunities for children with medical, physical, developmental and behavioral challenges. In 2010, Sierra Health Foundation partnered with Sierra Nevada Journeys to launch an experiential education initiative at the Grizzly Creek Ranch camp. Through the initiative, Sierra Nevada Journeys provides year round outdoor science education opportunities to students, families and community members that foster healthy communities through outdoor experiences that build leadership, stewardship and critical thinking. Online Health Information and Permission Form. For parents and guardians to complete permission forms prior to your child attending Overnight Outdoor Learning at Grizzly Creek Ranch with their school.